The F18 is a highly flexible, modular subwoofer solution where each F18+ unit with its 4,000W amplifier can power itself, as well as 1, 2, or 3 additional F18-Slave units. In-room extension to below 10Hz is possible in the largest to the smallest of spaces. Slave units can be placed separately from the F18+ unit such as an F18+ in the left front corner, and a connected F18-Slave unit in the front right corner. Flat rate shipping of $95 each within the lower 48 states. International customers please e-mail us with your shipping address and the number of units you are ordering so we can get back to you with an accurate quote. 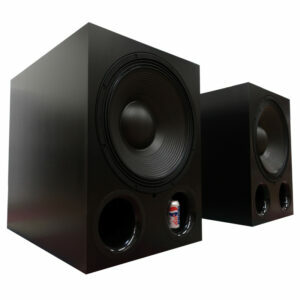 Please note shipping larger subwoofers internationally is largely determined by overall dimensions, so shipping two is typically double the cost to ship a single unit. Flat rate shipping of $65 each within the lower 48 states. International customers please e-mail us with your shipping address and the number of units you are ordering so we can get back to you with an accurate quote. Please note shipping a single unit internationally is often almost the same cost as shipping a pair. 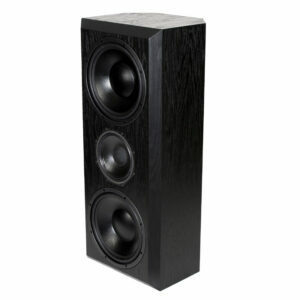 The X21 is a large subwoofer using a massive, 21″ woofer and a pair of 6″ diameter flared ports allowing for high efficiency and clean output to fill the largest of rooms or bass appetites. 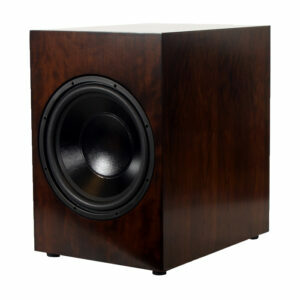 We offer two options for the 21″ driver where our X21AD & X21PD models utilize a 4.5″ voice coil design, and our X21AI & X21Pi models utilize a massive 6″ split voice coil design for even more power handling, greater headroom, and even lower distortion. With the durability and efficiency of this system we are happy to allow users to select their own amplification in offering a passive version of the X21 subwoofer with either driver option while we provide recommended DSP filter settings for optimal performance. We also offer a 1200W ICEpower based amplifier with the X21AD variant and our 4000W amplifier with the X21AI which uses the larger 6″ voice coil woofer. 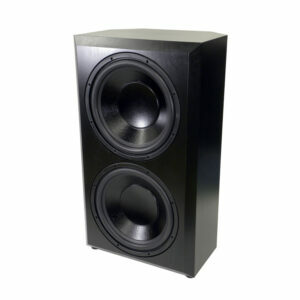 You can find rather extensive measurements of what we call the X21PD here at Data-Bass. Flat rate LTL freight shipping within the lower 48 states is $325 for a single, or $550 for a pair. For those closer than the west coast, please e-mail us with your shipping address for a custom quote and discount codes we can generate for shipping, or we can credit back any available savings after processing your order. This product is built to order with an expected 3 week lead time. International customers please e-mail us with your shipping address and the number of units you are ordering so we can get back to you with an accurate quote. Please note international shipping costs will be largely dependent on overall dimensions, where shipping two is likely double the cost to ship a single unit. 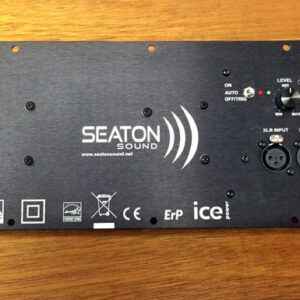 The SubMersive was the first product offered by Seaton Sound in 2006. The first owners were all avid enthusiasts who learned about what Mark Seaton was doing with the SubMersive through the fast growing AVS Forum (link to AVS for a bit of nostalgia). Since then the SubMersive has seen 4 upgrades over the years keeping it a top contender against the best subwoofers available. Even more than a decade later the first pair of SubMersives in the linked AVS thread have been upgraded to our latest version of the SubMersive HP+ available here. The SubMersive successfully demonstrated that it was both possible and desirable to offer low frequency extension to below 10Hz in room and dramatically higher dynamic capabilities. You didn’t have to give up a concert kick drum if you wanted the room to shudder when depth charged on the screen. 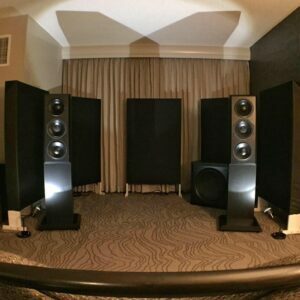 The SubMersive has evolved into 2 variations and a highly refined subwoofer equally at home in the most impressive home theaters and complimenting exotic music systems. The SubMersive F2+ is a high power subwoofer solution utilizing a pair of 15″ sealed woofers on the front face of the enclosure. Each F2+ unit with its 4,000W amplifier can power not only its own pair of sealed 15″ woofers, but also and additional SubMersive F2-Slave unit. In-room extension to below 10Hz is possible in the largest to the smallest of spaces. Slave units can be placed separately from the F2+ unit such as one F2+ in the left front corner, and a connected F2-Slave unit in the front right corner, or units can be stacked for greater headroom from the same footprint. Drop-In replacement amplifier for AV123’s MFW-15 subwooofer, originally designed by Mark Seaton for AV123 using custom optimized DSP and a conservatively rated, 700W ICEpower amplifier module. 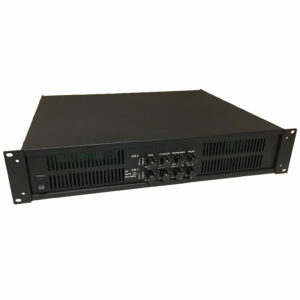 The amplifier is assembled in the US and similar to what we use in our JS-12 subwoofer. The same physical amplifier is used in the MFW-15 Turbo upgrade, and can be shipped back for reprogramming for use with the Turbo woofer at any time in the future. Turbo kits are currently unavailable awaiting a production run of a new custom woofer. Currently out of stock awaiting our next run of custom metalwork – Sign up for notification of when amplifiers are back in stock here. 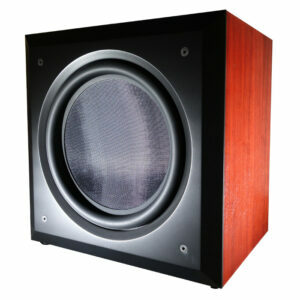 Sign up here for e-mail notification of Turbo woofer availability. Shipping within the lower 48 states is a $15 flat rate. Backorders are expected to ship the week of January 28th. Replacement electronics and woofer for AV123’s MFW-15 subwooofer, originally designed by Mark Seaton for AV123. 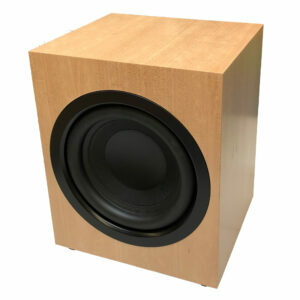 Currently out of stock, awaiting a production run of the custom woofers. 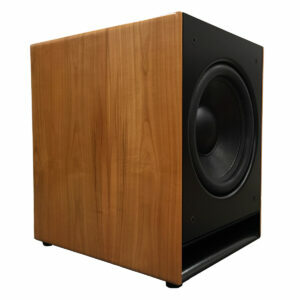 Click here to sign up for e-mail notification of Turbo woofer availability. 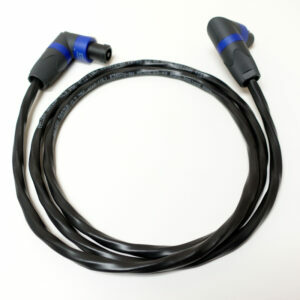 SpeakOn Slave Cable for connecting our slave subwoofers to + units or our rack mounted subwoofer amplifiers. Built to ordered length in house using premium right angle Neutrik SpeakOn connectors and heavy jacketed, 4 conductor, 11AWG wire. Please e-mail us (sales@seatonsound.net) for lengths longer than 50′ or any other special needs. Built to ordered length in house using premium right angle Neutrik SpeakOn connectors and Belden’s black, 4 conductor, 12AWG wire which is very flexible, compact in diameter, and rated for in-wall use as well. 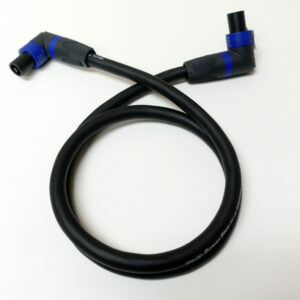 This wire is smaller diameter, more flexible, and less expensive than our heavy duty 4 x 11 AWG cable.